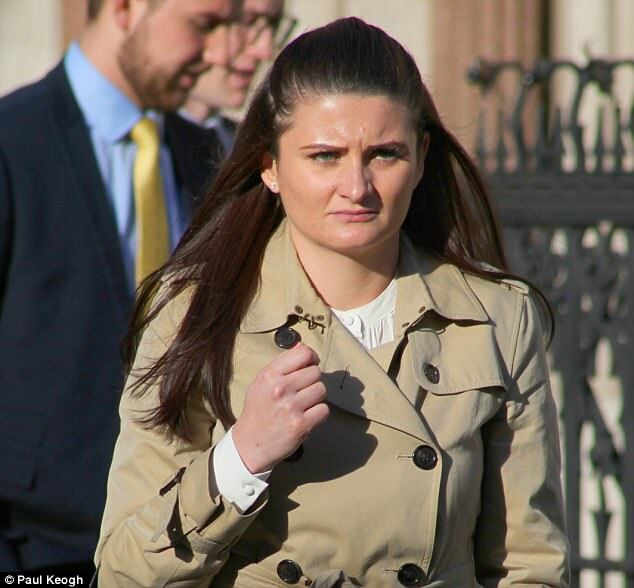 A BA stewardess left mentally scarred by a mid-air fire and forced landing at Heathrow is suing for £750,000 after fear of flying forced her to quit 'the most wonderful job'. Lucy Sargeant, 29, is suing British Airways Plc over the traumatic legacy of the May 2013 flight from Heathrow to Oslo, which led to mass panic on board and the emergency evacuation of 75 passengers. 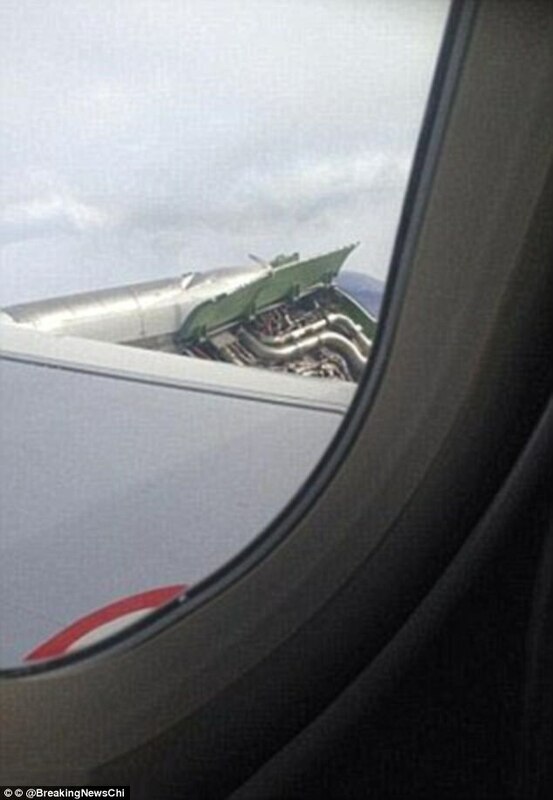 The A319-type jet had to return to Heathrow for a rapid emergency landing after an engine fire broke out soon after take-off. Nicholas Yell, for Miss Sargeant, from Uxbridge, said she 'genuinely thought she was going to die' at the peak of the terrifying incident. 'There was complete panic on the plane,' the barrister told Central London County Court. 'They were very lucky to be able to evacuate the aircraft without physical injury or anyone being killed. 'The movements of the plane suggested it was in its terminal phases as it was coming in to land,' he told the court. 'Seasoned flyers such as Miss Sargeant were completely terrified but tried to keep up a brave face for the benefit of the passengers. 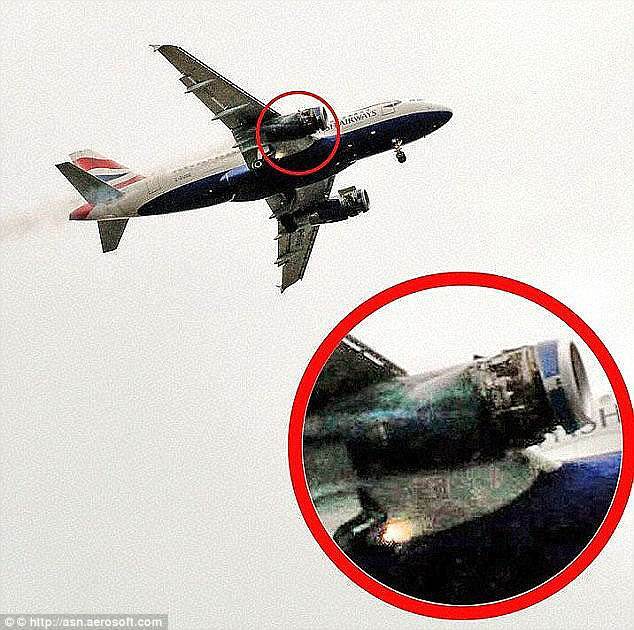 Seventy-five passengers and five crew had to escape down the emergency chutes when the BA Airbus touched down. The mid-air blaze was sparked when 'the engine fan cowl cover doors of both engines became detached and fell off during take-off', the court heard. 'This caused a fuel leak, a fire in the engines, and necessitated an emergency landing at Heathrow Airport,' explained Mr Yell. The court heard British Airways has admitted liability for Miss Sargeant's psychiatric injuries. But the airline is disputing the amount of compensation due to her. She is, amongst other things, claiming damages for 'loss of congenial employment' and the free, or discounted, travel and other perks that went with her job. 'Miss Sargeant initially perceived this as the most wonderful job,' said Mr Yell. competitive and it advertises itself as 'the world's favourite airline'. But her ordeal ended up wrecking her career as a flight attendant, the court heard. The forced landing left a legacy of 'disturbed sleep, extreme anxiety, flashbacks, nightmares and fear of flying'. Although she battled to get back to work, Miss Sargeant never again felt safe in the skies, said Mr Yell. A grim reminder of the incident came in mid-2016 when fumes began filling the cabin during a routine flight. Passengers and crew had to put on oxygen masks and Miss Sargeant was again on board during an emergency landing, the court heard. She told the court that, but for the memory of the May 2013 trauma, she would have taken such incidents 'in my stride'. And in November 2016 she reluctantly decided to accept voluntary redundancy from BA, the court heard. 'I had never been back to myself since the 2013 incident,' she told Judge Robert Glancy QC.